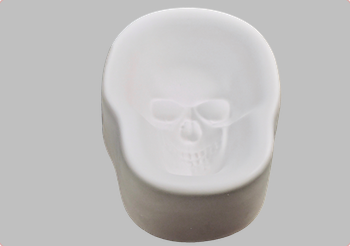 Create edgy or classic pieces with the Big Skull design. 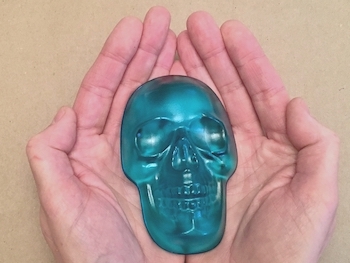 Fill the design with frit, cut up 6mm sheet glass, or, for perfectly clear castings, billet chunks. 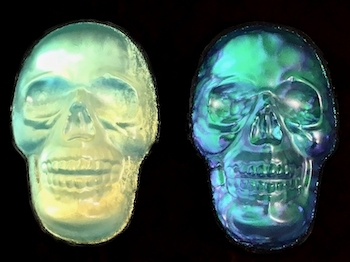 Produce a beautiful piece in only one firing, or, in a second firing, laminate a piece of dichroic sheet glass to the casting’s back to produce pieces with an almost electric glow. 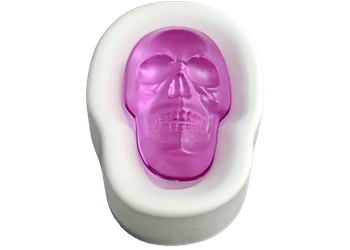 The Big Skull mold is about 6.5 x 5 x 2 inches (16.5 x 13 x 5 cm). The fill weight for each casting is 300 grams. The finished pieces are both 4.5 inches (11.5 cm) long. 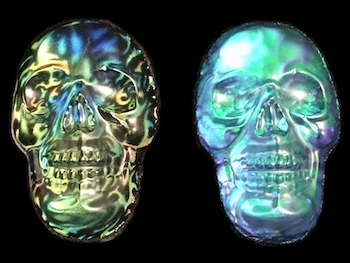 Click on the green LEARN tab to download the Big Skull project sheet which includes links about priming and working with billets.